Fire is an essential tool for keeping warm, cooking your meals, and keeping a generally pleasant atmosphere around your campsite. And although you may already know how to start a fire from scratch, it doesn’t hurt to have a reliable lighter on your side to make things easier when you don’t feel like going through the effort. But what good is a lighter that’s going to die when it gets wet? With the harsh elements that can hit you when you least expect it, to being out on the lake and accidentally falling in, you’re going to need a lighter that will keep on going, no matter what kind of punishment it’s dealt. That’s why you need the best waterproof lighter to help get you through the toughest of situations. This article is designed to teach you the different features to look for on a waterproof lighter, as well as inform you of the different kinds of lighters that exist in the market. They all function a bit differently, and each has its pros and cons that will make all the difference with your purchasing experience. 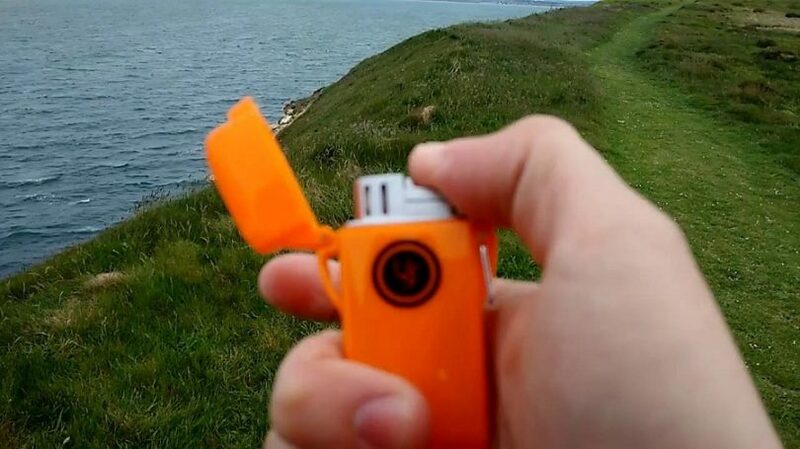 With the elements against you, going for the cheapest lighter you can find is guaranteed to leave you stranded without a way to get a fire going. There are six important features that you should keep an eye out for when you’re looking into getting a new lighter. Waterproof: of course, this should be the first feature that you look for. 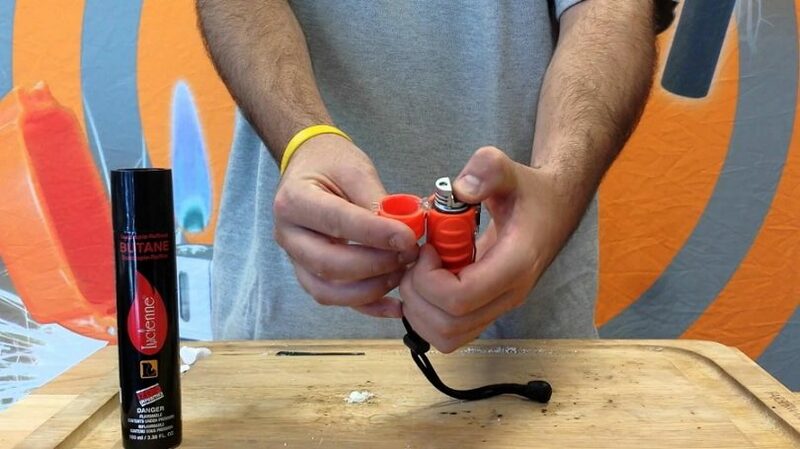 A lighter should be able to work correctly after being submerged in water. High quality lighters are going to have a protective sealant at key points in order to keep out air and liquids, while keeping the fuel in. 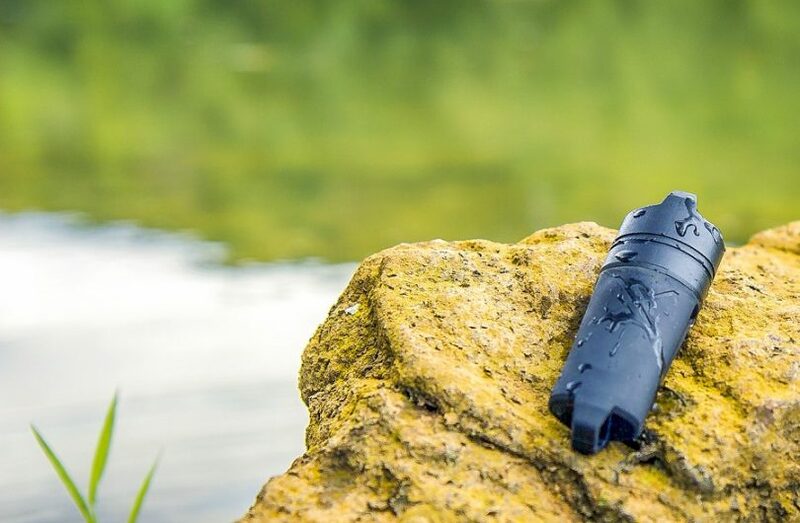 Finding a lighter that floats is also an excellent alternative, so that you won’t have to worry about losing your lighter at the bottom of the lake or river. Durable: camping brings out the worst kinds of punishment when it comes to your gear, and your lighter should be no different. A good quality lighter should handle being dropped, stepped on, and tossed around during your trip and still be able to provide a good flame at the end of the day. Some of the best models are even strong enough to handle the weight of a pickup truck running over them. Look for rust proof models to further the life of your lighter. Direct flame: it can be difficult to keep your lighter lit, especially when it’s raining and/or windy. Choosing a model that has a torch-like direct flame to ensure that you can keep it going for as long as you need it and to get your kindling burning. Portability: the majority of lighters can fit in your back pocket, making them relatively easy to carry around with you. For the best results, choose a lighter that has a cover on it so that you’re not leaking fuel all over your belongings and risking the chance of an accidental fire. Refillable: disposable lighters can be cheap, but in order to minimize garbage and to invest in a worthwhile lighter, having one where you can refill it when it’s empty is definitely more convenient than having to carry around several lighters. You may have the extra bulk of a fuel container, but the reliability of your lighter will definitely make the weight a little worthwhile. Hands-free lighting: like Zippos, having a lighter with this feature will definitely make it easier for you to take care of other tasks instead of keeping one hand busy maintaining your flame. When looking for a lighter, consider one that has as many of these features as possible in order to make your camping experience a more enjoyable one. Not all lighters are made equally, and being aware of the different kinds will help you to make the best purchasing decision. The pros and cons of each kind of lighter will be discussed so that you can make an informed decision about the kind of lighter you want to get. This is one of the most famous brands of lighters in the world, and that’s for a very good reason. They’re versatile, portable, and are known for being quite reliable, no matter the situation you find yourself in. They can run on any flammable fuel, meaning that you don’t have to invest in a particular brand if you’re looking to save some money. 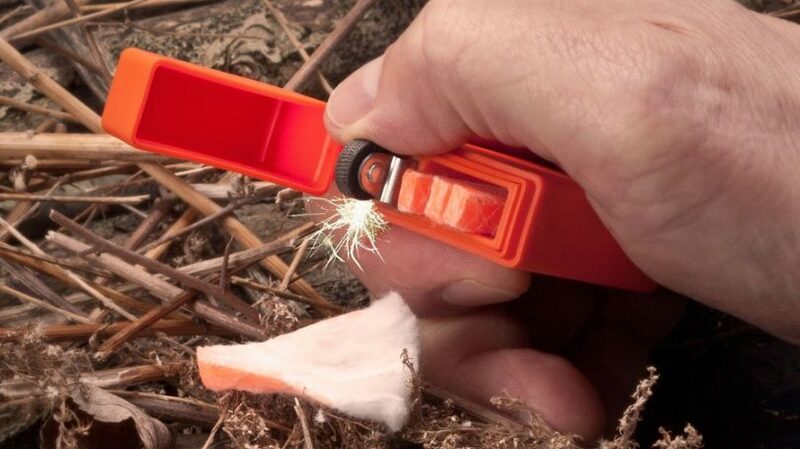 Even when your fuel does run out, you can always dismantle your lighter and use the cotton stuffing inside to use as kindling to start a fire. 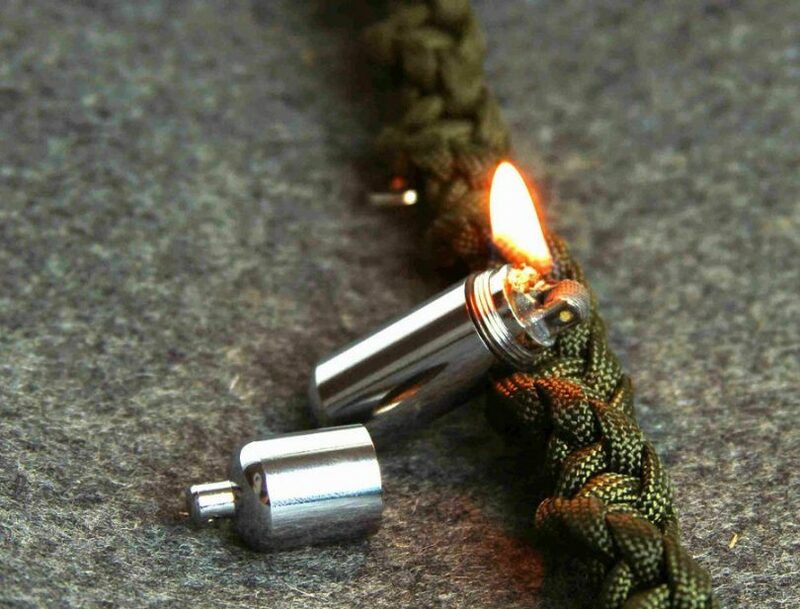 Zippos also have adjustable wicks, so that you can choose the size of the flame you need. This also helps you to conserve on fuel, especially when you’re running low. They’re quite easy to use, as you don’t even need your thumbs to have a flame going, and it’s a self-standing model that allow you to keep your hands free while you tend to other tasks. The Zippo model isn’t without its cons, however. The fuel within the lighter tends to evaporate when it’s not in use, so you could find yourself with an empty lighter when you need it the most. This model also tends to be heavier than others, which can impact what you carry with you, and it’s not very weather-resistant. Despite these cons, however, it wouldn’t hurt to keep this kind of lighter in your backpack as a backup heat source. 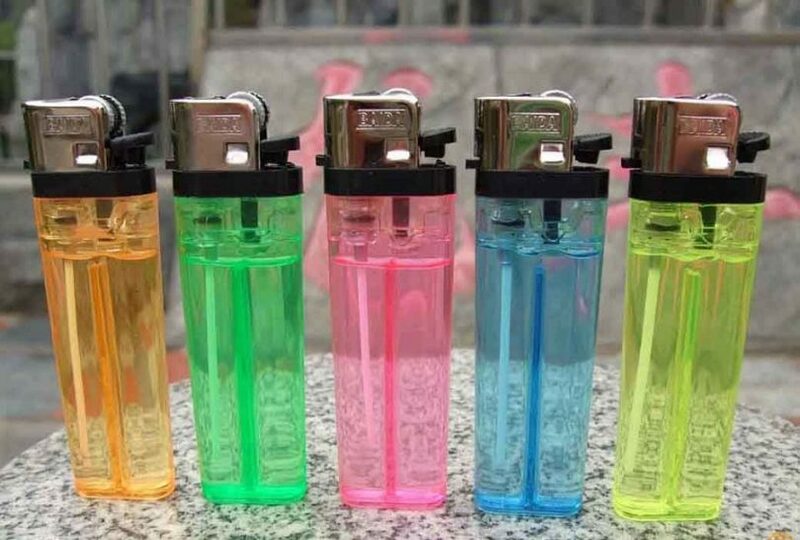 These lighters are the most useful thing you can have in a desperate situation. 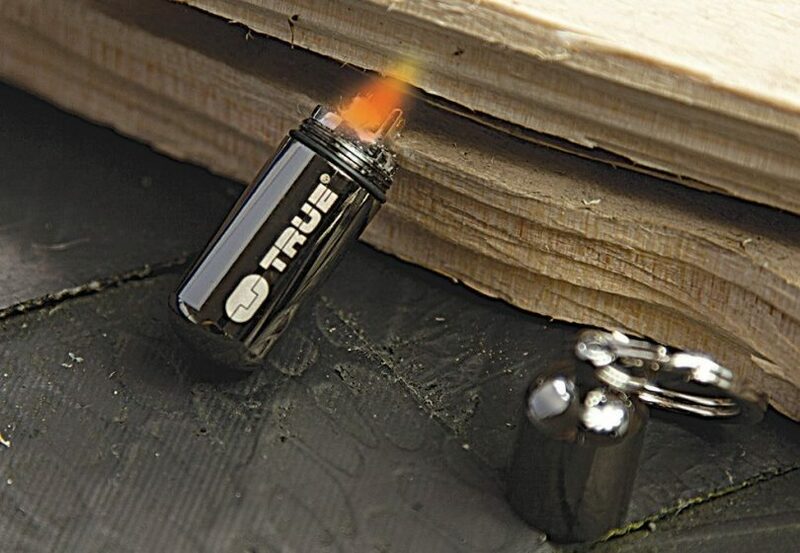 These lighters can withstand wind, rain and snow, and still keep burning. They’re known for being incredibly waterproof, as they have sealants that prevent liquids and air from entering the fuel chamber. Even after being completely submerged in water, it will still produce a flame for all your heating needs. It has a direct flame that will burn anything, even with the strongest winds blowing by, and they’re incredibly portable, since they’re so small and lightweight. The drawback to these models is that they are extremely cold sensitive and won’t do so well when the temperature gets too low. It uses primarily butane fuel, which has difficult evaporating and burning when it’s freezing out. 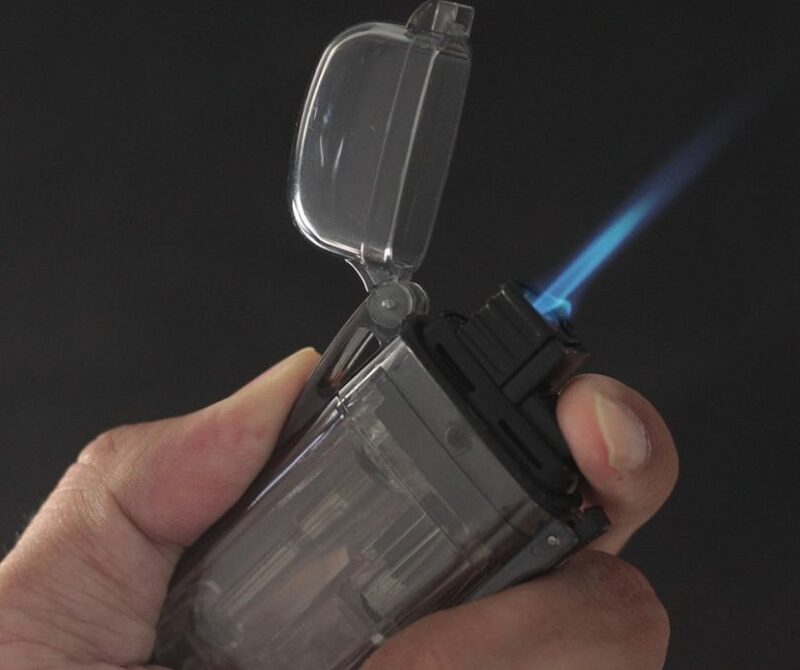 A stormproof lighter also tends to be more expensive than other kinds of lighters, but this isn’t really a negative, given how versatile and functional it can be in most adverse conditions. Lastly, they have a high rate of fuel consumption, so they’re going to run out a lot faster than you’re use to with other lighters. 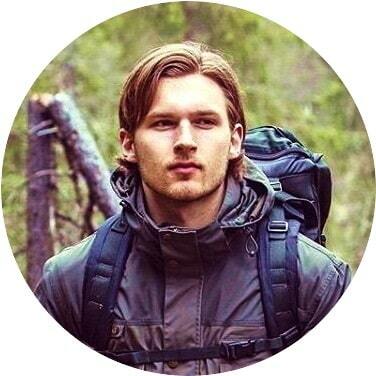 It’s great to have in a survival situation, but it’s definitely best not to use them as your primary source of flame. If you’ve never heard of these before, they look exactly like their names; they’re shaped like capsules and can be completed submerged in water without having their performance affected. Definitely good to keep in your camping bags, they’re extremely portable because of their incredibly small size, and can be attached to any keychain or stored in an emergency kit in order to free up room for your other camping belongings. They’re simple to use, extremely durable, and very easy to repair when something goes wrong. And talk about convenient: they run on liquid naphtha fuel, which can be purchased from any hardware or grocery store, so that’s more money in your pocket at the end of the day. But even these models aren’t perfect. They are known for having the fuel evaporate very easily, so keeping them filled can be more of a hassle than they’re worth. They can be a little difficult to use, as the wicks are sometimes inserted too tightly during the manufacturing phase, and can be difficult to light. 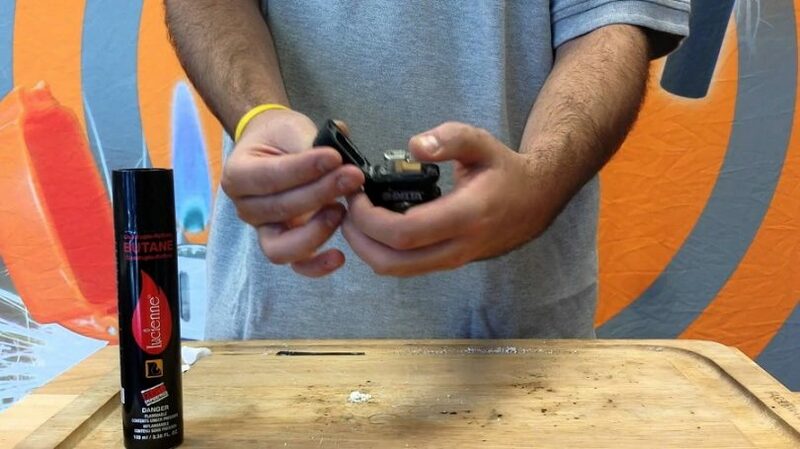 You shouldn’t have to struggle with your lighter when you need it the most. 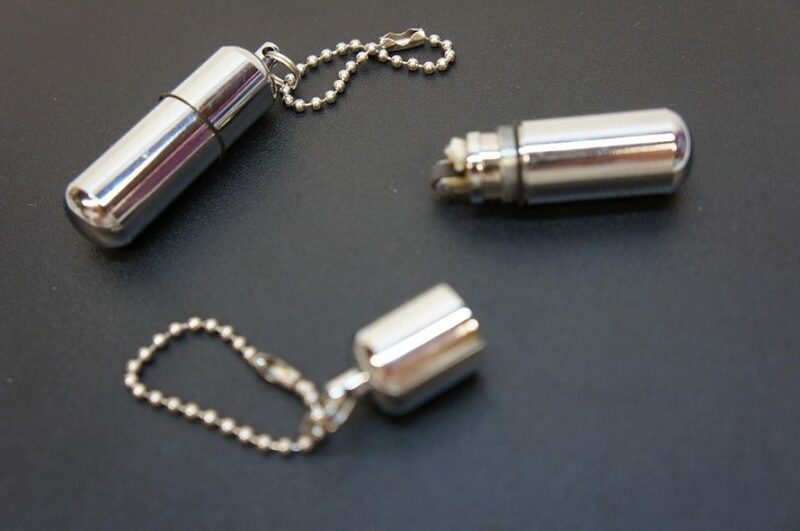 Lastly, they can be easily lost due to their design; if kept on a keychain, the lower half of the lighter can fall off completely, leaving with no lighter to use if you’ve lost it along the way. These can be found just about anywhere, from gas stations to convenience stores, making them the easiest to grab in an emergency when you’ve forgotten your other lighter at home. They’re so cheap that you can even buy them by the handful. And if they get broken or lost, they’re easy to replace with a quick trip to the store, and you won’t lament over how much money you’ve lost. However, they are one-time-use only, and can only be discarded once they’re empty. They don’t do well in cold weather, and they’re no very durable, due to their plastic housing for the fuel. Dropping one of these lighters from too high up can result in them breaking altogether, leaving you with no way to get your fire started. Good to have in a pinch, but shouldn’t be your only source of flame. As the name says, these lighters can float in water and still keep burning. They’re incredibly reliable, even after being submerged, due to the O-ring seal and wire bail that keeps all of the innards dry and ready to burn. 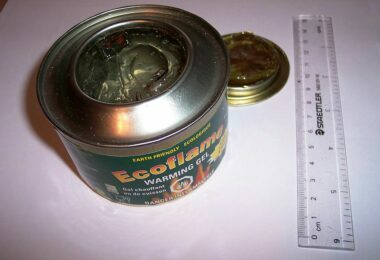 This seal also prevents the fuel from evaporating, so they can burn for longer than other kinds of lighters. The flame can be adjusted as you need to allow you to save fuel as well as providing the right amount of light or flame that you need. They’re easily refillable with butane lighter fluid, and the flame will continue to burn even with winds up to 80 mph. The flame that they do provide is nothing to laugh at either: they can be extremely hot, up to temperatures of 2,000 degrees Fahrenheit. That’s enough to dry out your kindling quickly and get a fire going in no time. Be aware, though, that even these models are sensitive to cold temperatures and won’t burn as well (or at all) when the thermometer dips too low. Evaporation is also a real problem, especially for butane models, so keeping them filled is a task that has to be maintained on a regular basis. For added information, be sure to read our article on how to choose from the different kinds of lighters available for survival. 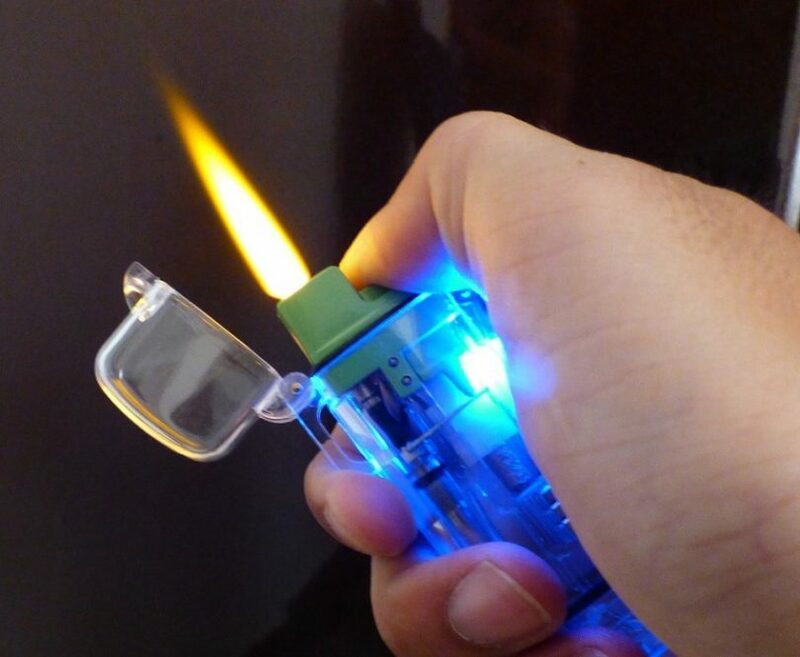 This small lighter is capable of floating on any aquatic surface, keeping it safe from the bottom of any body of water. The O-ring seal keeps water out and the fuel in, so it will continue to burn even after it’s been submerged. The slim design can fit into any pocket, and the flame will continue to burn strong, even in 80 mph winds. It uses butane as fuel, and holds at least 14 ounces in its shell. It comes in two bright colors – orange and pink – making it very visible in your surroundings. It has a hole to attach a lanyard to prevent it getting lost and keep it close by on your person, ready for use. It’s a cheap lighter that definitely gets the job done. 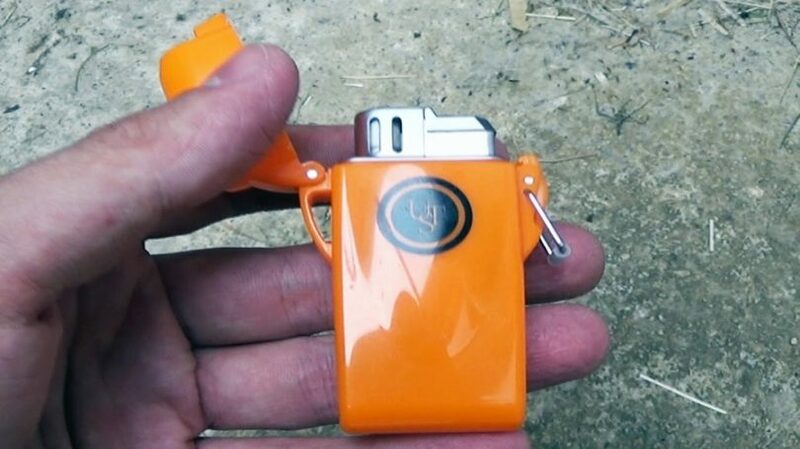 If you want power in your flame, this handy lighter is what you’re looking for. It’s refillable with butane fuel, and the strong flame will set anything on fire, even wet kindling. The small and sleek metal design makes this lighter quite stylish, and the plastic housing can be removed easily for refilling purposes. It also comes in blue, grey and orange, so you can find one that fits your style perfectly. This peanut lighter is so small, you might risk losing it, but it will definitely be one of the best purchases you make before going camping. It only weighs about 28 grams when it’s empty, so you can keep it in your pocket, on a key ring, or on a lanyard around your neck. The refilling process is quite easy, and involves removing the insert and pouring fuel onto the cotton inside. The rubber seal is reported to be a little flimsy, resulting in some of the fuel leaking and/or evaporating when it’s not in use, so a careful eye should be kept on this so that it can be replaced if necessary. When in doubt, it doesn’t hurt to have both a lighter and some matches. This handy plastic case keeps both dry, so that you can have that fire going in no time. It comes in a bright orange color that makes it easy to spot, and it’s light enough to keep in your pocket. For more reviews of the best fire starters in the market, see link that gives you tips on how to choose the best ones. There’s no need for fuel, as the starter creates a spark that can be used to ignite the wax-covered matches, allowing you to keep your matches dry while you get a roaring camp fire going. And when your matches run out, you can easily replace them with new ones of your own, ensuring that you always have a handy emergency fire kit when you need it. 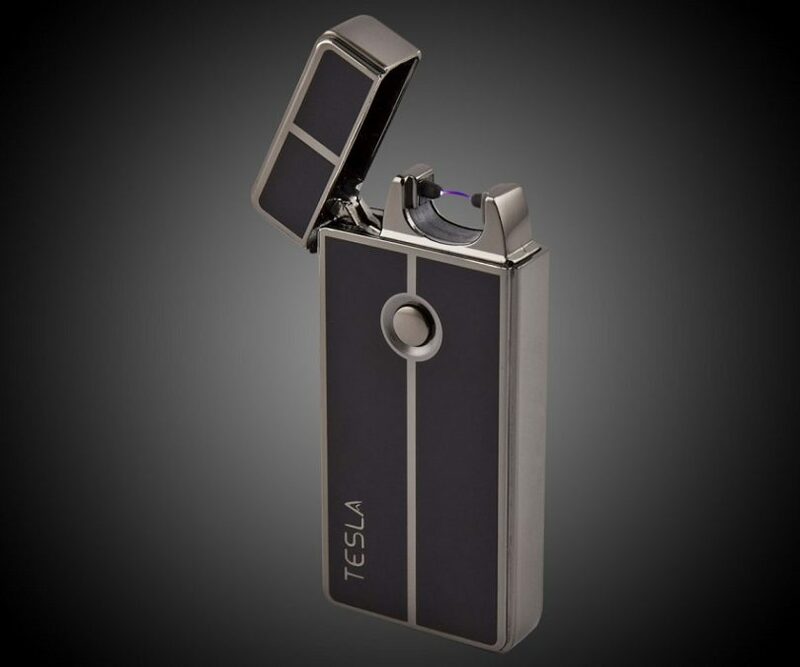 This stylish lighter will certainly turn a few heads, and with a name like Tesla Coil, you’ll have people asking a lot of questions about it. 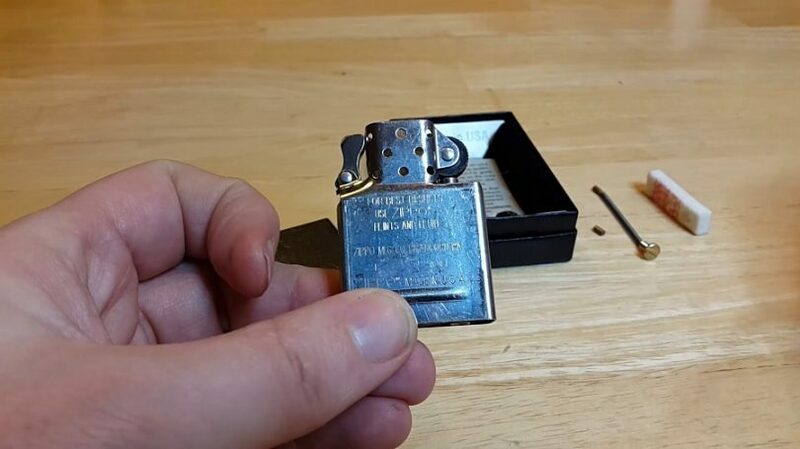 Instead of using fuel, this lighter is charged with electricity in order to create a flame. It’s a tiny arc lighter in the palm of your hand, and is guaranteed to get your tinder lit when you need it. It is USB rechargeable, and a full charge allows for as much as 100 to 300 clicks. 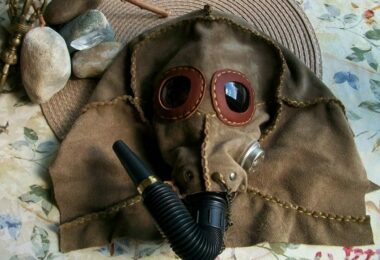 And because there’s no flame, it’s entirely windproof, and you won’t have fuel evaporating or getting wasted. The added safety feature will prevent the lighter from being turned on once the lis is closed, so you won’t risk starting a fire by accident. It’s a definitely a reliable lighter you should keep with you, especially in those emergency situations. The price tag may make you balk at this lighter but it’s well worth the price. This high quality lighter has been field-tested time and time again, and should be included with any survival gear or bug out bag you have. It burns a clean flame and can withstand winds of 70 to 80 miles per hour. The ignition system built into the lighter is said to work for at least 30,000 ignitions, so you’re definitely going to get a lot of use out of it. It’s watertight seal allows for 1 gram of fuel to remain free from water, so even submersion won’t stop this lighter from working. It sports a tough elastomer armor that can withstand the rough treatment of camping, so you know it will last trip after trip. Another peanut lighter, this tiny capsule sports a shiny look that will definitely catch the attention of your camping buddies. It fits nicely on a key ring, and is refillable with petrol. The O-ring at its base allows for it to be waterproof, so you can use it whether you’re on the lake or after it has rained. Because of its size, you should be careful how much you keep the lighter going, or you could end up running out of fuel before you’re ready to refuel. Always exercise safe fire practices when using any kind of open flame, even small lighters. Forest fires are a dangerous hazard that can get out of hand very quickly, especially during the summer months when underbrush is quite dry. Be sure to examine the regulations of the area you plan to park in, as some lands don’t allow you to take in a lighter of any kind, for the very reason mentioned above. For those areas that do allow you to take a lighter, be sure to keep it closed with no naked flame when it’s not in use. 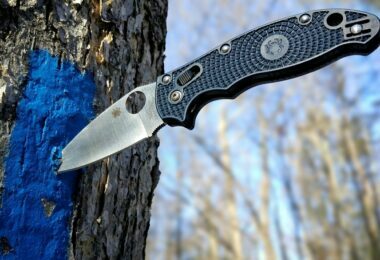 Check out our earlier article on what to look for in the best survival lighters for more information.